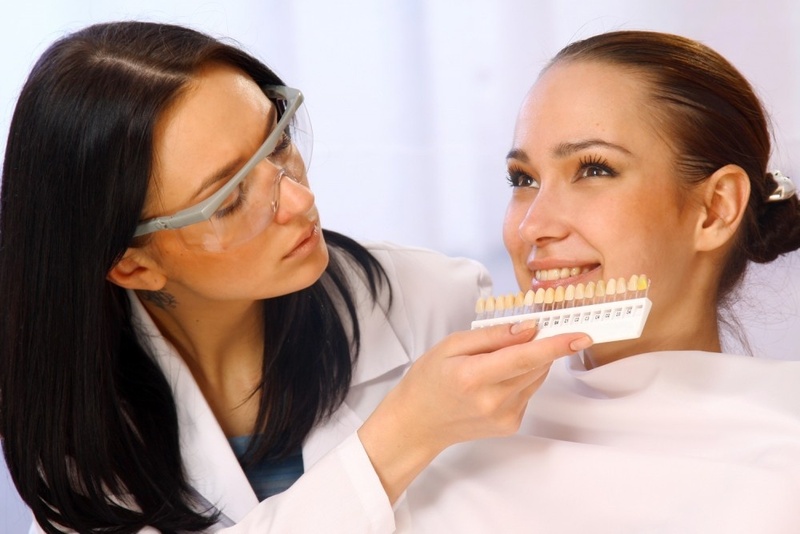 Tooth whitening, is a common procedure in aesthetic dentistry. Tooth whitening restores natural tooth colour which is desirable while tooth bleaching whitens beyond the natural colour. Bleaching methods use carbamide peroxide which reacts with water to form hydrogen peroxide. Carbamide peroxide oxidizing agents penetrate the porosities in the rod-like crystal structure of enamel and break down stain deposits the dentine of the tooth. In chair treatment, takes approximately one and a half hours and can lighten teeth up to eight shades lighter. It is a fast, easy, and effective way to address dull and highly discolored teeth due to smoking, food and drink consumption, and the effects of ageing. In-chair tooth whitening is simple and easy. 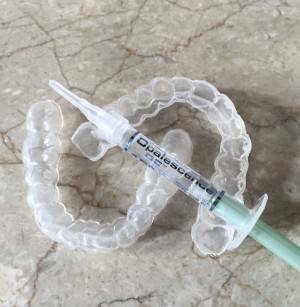 A protective barrier is applied to the gums to keep the whitening solution from affecting them. The teeth are then treated with a whitening gel which is activated with the use of a blue light. You will relax while 2 -3 three applications of about 20 minutes each, are made. Once treatment is complete, the gum barrier is removed and the gel washed away, to reveal a whiter, brighter smile. You will be able to carry on your day with a whiter smile than you arrived with, making it fast and convenient. Tooth whitening can also be done at home with the use of custom made trays, which will be made for you from impressions. You can then apply the bleach to the trays and whiten your teeth in the comfort of your home. Tooth whitening is a non invasive treatment, with very few side effects or complications. The main complication is increased sensitivity which may last for the day or up to a week after tooth whitening. Alex provides you with a de-sensitising toothpaste at the end of treatment to alleviate symptoms.